All the new tools lately, i have a ton of them, multiple tools that all do the same job well, tools i didn't really need but you know you gotta try them out. I also see people on youtube doing complete jobs with just a yellow turbo. If you could only pick 2 or 3 tools to do everything, what would you pick? I need at least 5 or 6 but a yellow turbo , and a cut down yellow lidco would get me by. Blue Max and a cut down 3M bump card, if I had to do the back glass of a sedan add in a bulldozer or slim-foot. Those are my bare necessities/minimum tools. I end up using quite a few more because they work better for certain applications or processes. Blue Teflon, Olfa, heat gun, and a sprayer. everything else is just used to install film. Forget doing everything with a turbo. Too much wear on your arm and i dont feel like those push enough solution out for install. 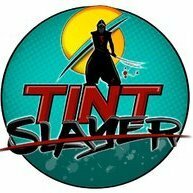 Just watched a video a few days ago of an old tinter saying there bad on the finger tips and many fazed them out. Those dont even comare to a handle squeegee imo. I actually just got the green turbo today, looks good! Flexes like a black, but its slick like the yellow. These will only be used on 1/4s. For rollups I clean with a orange crush and install with blue max & ez reach. For the BG I add in either the bulldozer or stroke doctor. I would find what you like and put the rest hidden away. Then go back to it if the tool you’re using is working. I don't! It's other mothereffers that do it for me!